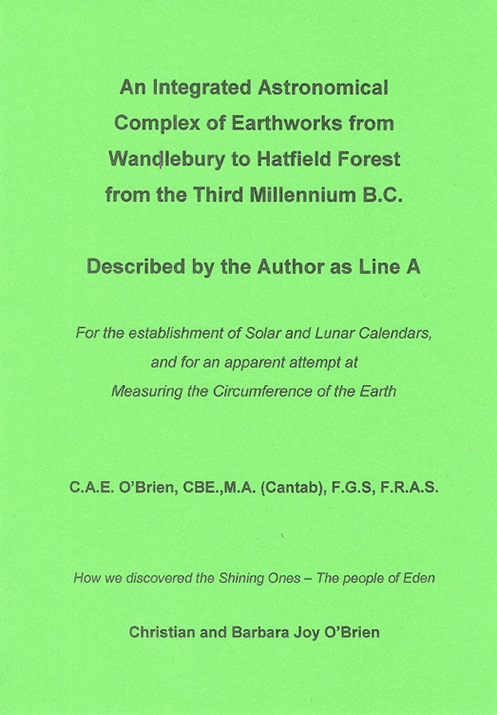 This treatise is the record of five years of field-work and computation carried out over the whole of East Anglia and its border areas to the west. As a study of possible astronomical alignments of great antiquity, marked on the ground by monoliths and earthen mounds, it has had to use many disciplines - archaeology, astronomy, geology, mathematics, geodesy and tertiary surveying. As no man is master of all these, least of all the author, frequent mistakes have been made. And yet the original working hypothesis has survived all vicissitudes, and has become more firmly grounded as successive mistakes have been corrected In the absence of a written record, there can be no proof that the, admittedly remarkable, claims put forward, here, are not a mirage of purely random events. But great care has been taken that each step should be supported by a calculated, negligible probability of randomness. On my handling of this factor, must rest the acceptability, or otherwise, of the conclusions reached - Christian O'Brien. Was Britain’s great megalithic heritage an accident, or legacy from an intelligent and superior race who visited these shores 5,000 years ago? No indigenous culture was capable of building sites like Wandlebury, says Tim O’Brien, who believes he has new evidence which will rewrite history.